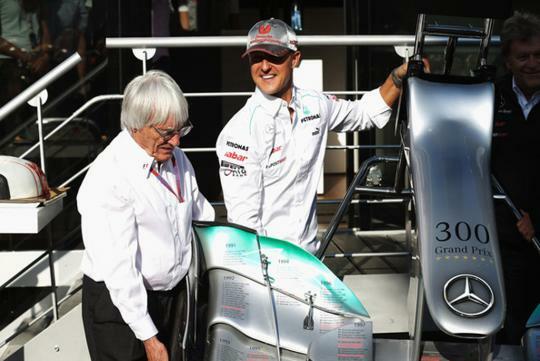 F1 boss, Bernie Ecclestone, feels that Michael Schumacher�s return to F1 after his first retirement was a bad decision. His opinion is that people new to the sport will remember Michael now, not as he was. "I would rather he had stopped as a seven-time world champion than stopping now," Ecclestone told the official F1 website. "They don't see the hero that he was but the human that can fail. I think the important thing is - and this is probably difficult - to know when you can't do what you used to do anymore and then hand it over to somebody else,� he added. Schumacher is a seven-time World Champion and is widely regarded as one of the greatest ans most successful F1 drivers of all time. He broke many Formula One drivers records, including most championships, race victories, fastest laps, pole positions, etc. On 25 November 2012, Michael competed in his last Grand Prix in Brazil, finishing seventh. In his three years with Mercedes, he had only one podium finish with no wins. What invaluable insight with 20/20 hindsight from a man who will never be a fraction of Schumacher. 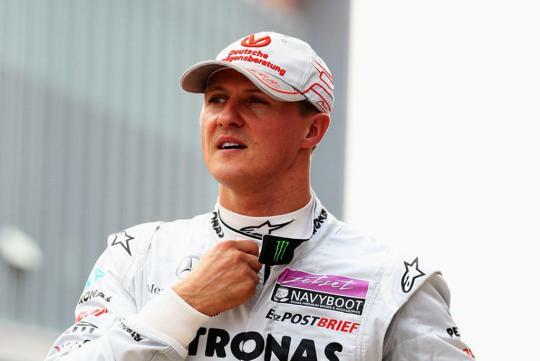 Mercs team not good enough for schumi.